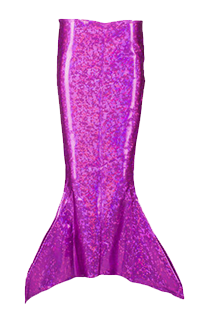 This one’s for all the little dreamers who wish to look like a REAL mermaid but aren’t big enough for a mermaid tail and monofin set, just yet. Fin Fun’s Sweet Dreams toddler tail features a completely open bottom, ideal for little ones who are just learning to swim! 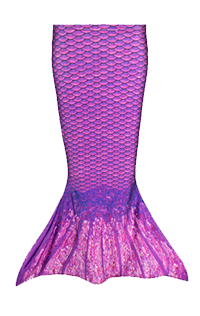 She’ll simply adore her mermaid transformation with a mermaid tail of seashell-shaped scales dusted with a shiny layer of sparkles. Little mermaids can even match big sister or mom, as the Sweet Dreams design is available in sizes for kids and adults! 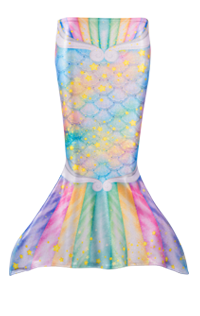 She’ll experience mermaid magic every time she slips on her mermaid tail of sweet scales, whether it be at the beach or just playing dress-up at home! Dozens of dazzling designs flow throughout Fin Fun’s Limited Edition collection. Whether you seek vibrant shades of the rainbow or subtle, yet stunning hues—we’ve got a look to suit every mood! 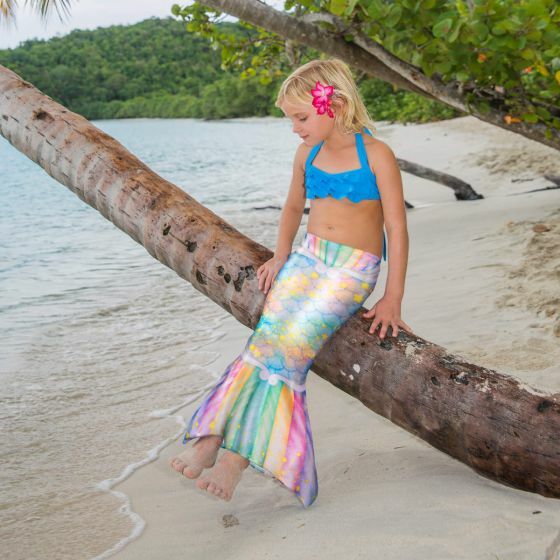 Each Limited Edition tail features an extra layer of shimmer that sparkles and shines when you’re sunning in style or swimming through the sea! Let your personality shine through with our exclusive fabric tails that stretch four ways for a comfortable swim and resist fading from elements of the sun, chlorine, and salt water!